Mexican food has become so entrenched into our culture that it almost seems folly to sit here and write an article. Especially one about a Mexican picnic which attempts to identify which foods are great and which aren’t. Everyone knows what they like through years of experience and due to the abundance of taco, quesadillas, fajitas and so on in and around our blocks. The fact that tacos seem to have a day of the week that will eternally be associated with them should tell me I’m right up against it. But never let it be said that I’m one to back down from a challenge. I’m fully prepared to be laughed at, sneered at and generally mocked but what I will present to you is my ideas of some perfect inclusions to your Mexican picnic menu. I believe a nice humble salad belongs on top of every picnic blanket. I also believe a spicy, fiery salad with balls (not literally) should make an appearance. 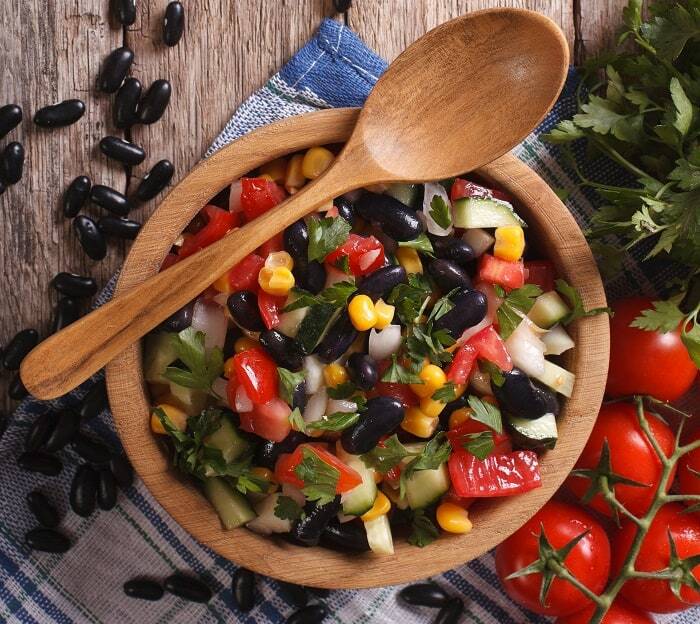 Thankfully for us, Mexican cuisine allows us to sample both these types of salad due to the simple ingredients that are readily available as well as the extra bite in some of the ingredients that are synonymous with Mexico. There are no rules to salads which is why I probably like them so much, you can literally add or subtract what you want from any given recipe. For that reason I will not make a salad recipe for you as such, merely list a few key components that should be in your easy Mexican salad. Ingredients such as Romaine lettuce, avocado, cherry tomatoes, cucumber, and beans all have a place amongst the tastiest salads. The choice is yours however and as long as you have a suitably good dressing the main ingredients should combine into one beautiful salad. For the dressing, I would choose a classic lime and cilantro combination. There are a few recipes out there like this one that I enjoy. For the spicier of the 2 salads, I love to get my beans on. Three bean, four bean, five bean, it doesn’t matter as long as there are some beans in a bowl. I’m particularly fond of kidney, cannellini, and black beans but the choice as always is yours. Start adding some corn and some raw chilies and you are almost in spicy bean salad heaven. Of course, the salad is nothing without its dressing. For mine, I like to have a mixture of olive oil, red wine vinegar, lemon and lime juice, sugar, chili powder, and chili flakes. The most important thing to remember about your salads is that they can deteriorate quickly if not stored correctly. To get the most from your salad I would recommend assembling it just before you set out to your picnic. Make sure your salad is kept at a cool temperature by using insulated bags with ice packs or by using something like this salad bowl with built-in ice tray that we wrote about in our food containers article. Because street food is widely popular in Mexico and because there are hundreds of different forms of these foods it is relatively easy to come up with some picnic ideas. It is mostly a case of ensuring what we choose is picnic friendly i.e. picking foods that are not big and bulky, that will keep well in our picnic basket and can be savored equally well hot or cold. We have options of course to store or prepare hot food to best suit our needs but sometimes keeping it simple is best. Elote fulfills all the criteria set above. It is simplicity itself without being space consuming or the need to be hot or cold. I keep it simple by adding just salt and pepper. But you could also add things like butter, mayonnaise, lime juice, and cheese if you keep them hot. 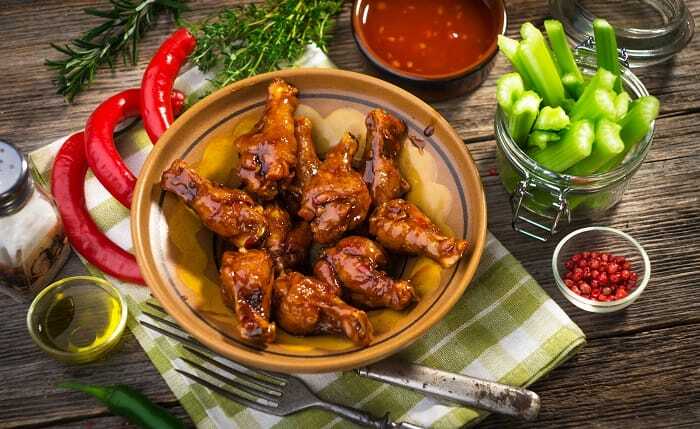 Chicken wings are an absolute picnic appetizer classic. Mainly because they offer a hearty piece of meat that is otherwise missing from the picnic menu. Wings aren’t exactly an original idea though and might not even be the most authentic Mexican food that we could suggest. But sometimes tenuous links are the best ones. Mexican food is spicy food for me so if we can get some spicy wings into our Mexican themed picnic then that’s ok by me. I came across this recipe for hummus and refried beans taquitos from cleaneatingveggiegirl.com a short while ago and ever since I have been obsessed with these simple to make parcels of deliciousness. Suitable for vegans the taquitos are ideally served hot but are just as nice cold in my opinion especially if served with some hot sauce. Ceviche is a really cool thing to bring to your picnic, as long as proper care over storage is taken. Being fish, it doesn’t take kindly to being in anything other than cold temperatures for long. If you’re confident in your storage solutions though, ceviche promises to be a light, healthy flavorsome picnic course. I personally prefer tuna ceviche but still enjoy shrimp, scallop or salmon ceviche as well. Chili is the ultimate Mexican food in my eyes and can be extremely versatile when used for your themed picnic. It doesn’t matter if you have no tacos lying around for example as nachos can easily be used for dipping. Not to mention the numerous ways you can use a tortilla which all complement the use of chili. I can cope with most foods being served hot or cold, it was the way I was brought up. But chili is one of those foods that screams out to be piping hot on your plate. Check out our article on vacuum flasks for some ideas for keeping your food hot. I think people underrate fudge as an option to use for desserts. Maybe it’s because there’s not a lot you can do with it to make it seem fancier. You can’t make an exquisite compote to sit alongside it. And you would be pretty foolish to try a deconstructed version whereby you’re left with a puddle of condensed milk and a pile of sugar. But when you bite into your chunk of fudge you instantly realize that it is absolutely fine as it is. It does not need anything added to it. 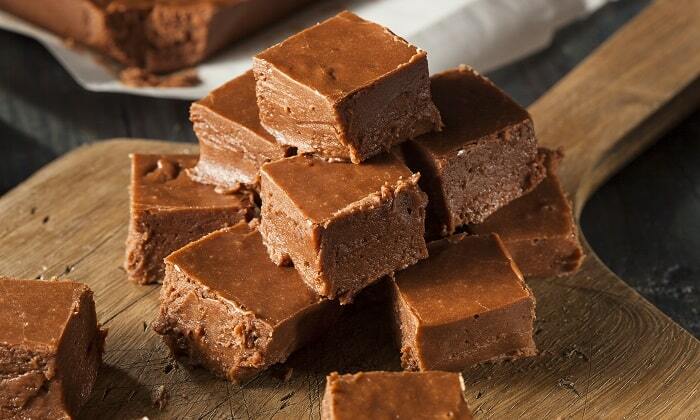 Fudge is perfect for our Mexican picnic as it is light, compact and not reliant on any particular climate. Check out this recipe to keep our Mexican theme going. For a more traditional suggestion for your Mexican dessert, you would not go far wrong if you opted for tres leches. This beautiful cake combines whole milk, condensed milk, evaporated milk and cream. Together, this makes one of the moistest things you are ever likely to taste. I once had a friend who ruined Christmas for me forever. He invited several of my friends and me over for Christmas dinner. He promised it would be extremely filling and extremely boozy. What he failed to tell us though was that he was going to combine the two elements and serve us alcoholic food. By the time I poured the tequila-soaked gravy all over my Christmas dinner it was too late. Everything tasted of tequila. I’ve never been able to look at a Christmas dinner without a cold shudder running down my back since. Thankfully the same does not happen when I get some tequila in my hands. I still love the stuff and I think I always will. Which is good. Because what better way is there to round off your Mexican picnic than a massive jug of Margarita? With the aid of a thermos, it is entirely possible to make a batch of frozen Margarita. But I would stick with just a normal version that is chilled with ice cubes in a shaker.